On 12 March 2018 the project PERFECT team hosted an event for the Arts and Science Festival at the University of Birmingham, entitled: Start, Stop, Pause: Keeping Mood on Track, with the aim of sharing information about bipolar disorder, and the psychological interventions that have proved successful in improving people's quality of life and avoiding their relapse. The session was led by Lizzie Newton who works as a clinical psychologist on the Mood on Track programme and an expert by experience describing how bipolar disorder impacted on his life, and what his involvement was with the programme. Their joint presentation included information about what bipolar is, about how a diagnosis is made and people can get help, about the Mood on Track programme, and about what we can all do to support people who may be experiencing changes in mood. The session ended with some questions and comments from the audience. Bipolar disorder presents as a pattern of changes in how people think, feel and behave, and in their physical responses. Between 1% and 5% of the population has bipolar disorder, and more women than men ask for help. People tend to be diagnosed when they are in their twenties. They get this diagnosis when they experience different moods, from mania (high mood) to depression (low mood). They can also get some psychotic symptoms when they have mania or depression, and such symptoms disappear when their mood gets better. Some people also suffer from anxiety, may have suicidal thoughts, and engage in risky behaviour. Associated with bipolar are not only bad experiences, but also good experiences (especially when mood is high): higher connectedness, creativity, a greater sense of autonomy, and productivity. Via the recount of a person experience of bipolar, the audience heard that no bipolar presentation is the same, and that there can be big differences from person to person. 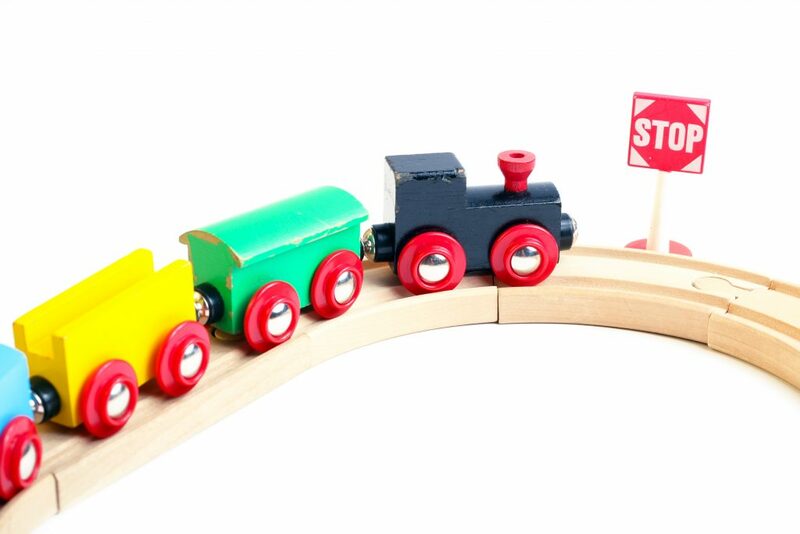 That is why Mood on Track offers group interaction but ultimately leaves participants with a personalised "get well plan" that they have arrived at with some help, and they prepare to follow. The programme is very unique as it offers both psychoeducation and personalised treatment to reduce relapse, improve functioning, and reduce risk. It is 20 years old and in this time it has been very effective and has produced good health outcomes helping people manage their mood and keep on track. It was a very informative and engaging session! 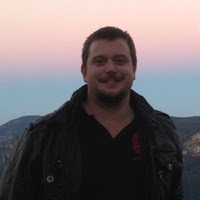 Today's post is by Peter Clutton is a graduate student at the Australian National University School of Philosophy (previously at Macquarie University) working on the nature and taxonomy of delusions. In my recent article, "A new defence of doxasticism about delusions: The cognitive phenomenological defence", I enter the ongoing debate over whether delusions are beliefs (or whether they are some other, non-doxastic state). I argue that delusions are beliefs, despite the many objections to that view. It might seem obvious that delusions are beliefs. People with delusions typically insist they believe what they say, and the fact that they do is often the very reason they come to clinical attention in the first place. Indeed, clinical manuals like the DSM define “delusion” as a type of “false belief”. On the other hand, delusions seem to defy many preconceptions about the nature of belief. For example, we expect people to act on their beliefs, but people with delusions do not always act in expected ways: people with the Capgras delusion insist that their spouse has been replaced by an imposter, and yet they often continue to live with the supposed imposter, and do not to report their “real” spouse missing. I argue that delusions really are beliefs, despite the fact that they violate these preconceptions about beliefs. I defend what I refer to as a “cognitive phenomenological” account of belief (based on the work of Kriegel), and argue that on this view, delusions are beliefs. On this view, beliefs are defined by the type of experience they involve. When I consider the proposition “snow is white”, for instance, I experience a certain kind of mental assent towards the proposition. That is what it is to believe that snow is white. This post is by Thomas Mulligan, a faculty fellow at the Georgetown Institute for the Study of Markets and Ethics. 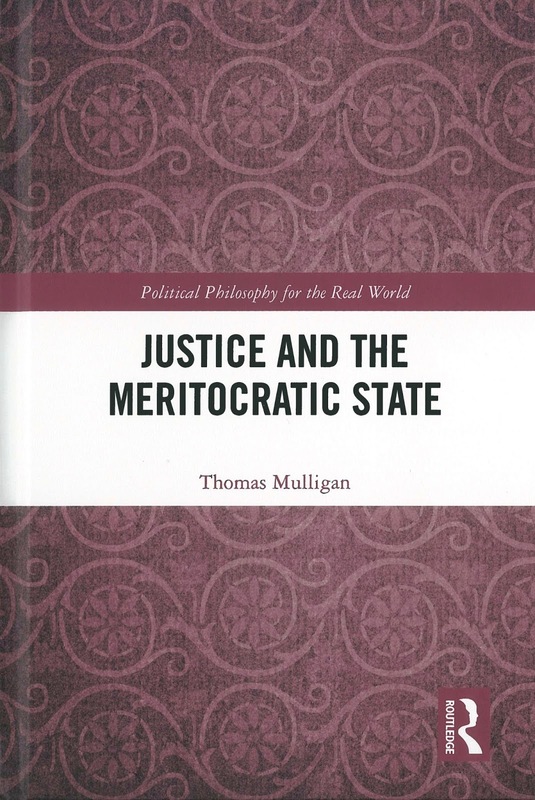 He talks about his new book, Justice and the Meritocratic State. A striking feature of the philosophical debate about justice is that our most popular theories are rejected by the people who would have to live under them. Since the 1970s, libertarianism and egalitarianism have dominated political philosophy despite being unpalatable to the public; we know, for example, that “empirical studies provide almost no support for egalitarianism, understood as equality of outcomes, or for Rawls’s difference principle” (Konow 2003: 1199). The goal of this book is to provide a theory of justice that is consonant with human intuition and more conceptually compelling than these competitors on the right and the left. Although you wouldn’t know it from our politics, there is deep normative agreement about the structure of a just economy. Human beings across lines of gender, race, class, and culture believe that people should get their just deserts. This is why, for example, if you pay a person less than she thinks she deserves, or more than she thinks she deserves, she is unsatisfied with her compensation. That justice is desert has been verified by decades of research in experimental economics, social psychology, neurology, evolutionary history, and other fields. Rather than reject that consensus, as most philosophers would, I argue that we should embrace it, and agree that “the concepts of moral desert and justice are deeply connected, and one needs the other for a proper definition” (Rustichini and Vostroknutov 2014). 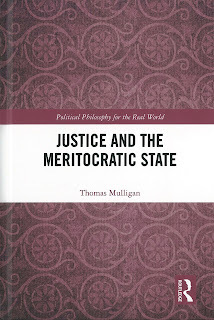 The theory of justice I advance is monistic (justice is desert and nothing else), deontological, and leads to a society that is “meritocratic” in character. The theory rests on three principles. Principle one: Equal opportunity. We normally want to say that the fastest runner deserves the medal on the basis of his merit. But this is no longer true if the other runners were hobbled before the starting gun went off. In that case, the winner’s claim to deserve the medal is weakened, if not nullified. As it goes for races, so too for our economy. Justice requires that we provide robust public education, healthcare, and other forms of social support to children born into disadvantage, and that no one has a head start owing to inheritance or nepotism. In this post I introduce a paper I wrote with Ema Sullivan-Bissett on the epistemic benefits of clinical memory distortions, which recently appeared open access in Mind and Language. It is one of the core outputs of two recent projects, the AHRC-funded Epistemic Innocence of Imperfect Cognitions and the ERC-funded project PERFECT. The key message in the paper has received some coverage in the press (Medicalxpress, India Blooms, Laboratory Equipment, and Health Canal). In Keeping Mum, Marianne Talbot describes how her mother was a great storyteller before she had dementia. One of her best stories was how one day, when she was 14, she was late for school because her mother had just given birth to twins. The headmistress did not believe that that was the reason for being late and punished her, which she felt was a great injustice. When dementia advanced, the story about the twins’ birth ended up being merged with other stories (for instance, other stories about being late for school) and was repeated many times. Martha, who had Alzheimer's disease, often told the story of how she learnt to drive, and she bought her own car, defying the doubts of her husband and her own family (Hydén & Örulv, 2009). This was something she was presumably very proud of because not many women at the time would have done the same. Aspects of her story were repeated frequently, even during the same conversation, and presented a number of inaccuracies and inconsistencies. The distorted memories and repetitive scripts in the examples above are epistemically problematic because they involve false beliefs. 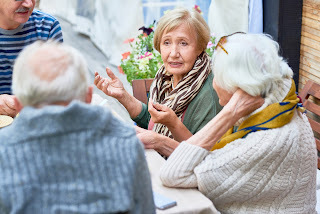 However, it is important for people with dementia to repeat stories that they find central or even self-defining (the unfairly punished teenager, the defiant woman) even if details in such stories are inaccurate. Why so? Due to serious impairments in autobiographical memory, people with dementia have been found to lose their identity, having progressively fewer and more vague beliefs about themselves and their past (see the classic Addis and Tippett, 2004) with negative effects on wellbeing. It is particularly challenging for people with dementia to integrate information about their lives before the illness into their current personal narratives. This post is by Robert Nash. 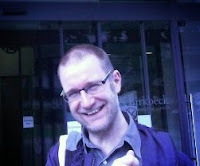 Robert A. Nash is a Senior Lecturer in Psychology at Aston University, and a recent presenter at TEDxBrum. Much of his research is focused on biases and distortions of memory, and their implications in various real-life contexts. 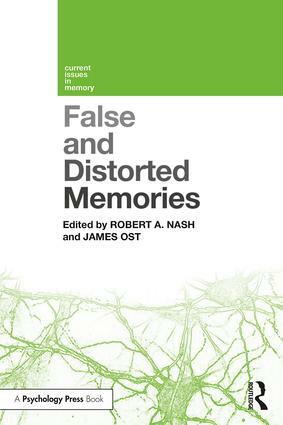 In this post, he talks about his recent edited book (with James Ost, University of Portsmouth), entitled False and Distorted Memories. Psychologists have been writing about and studying the reconstructive properties of memory for more than a century. Nowadays, hundreds of scientific papers are published every year that further propel our understanding of how people use memory to reconstruct the past. So why, despite all of these decades of studies, do so many of the general public still subscribe to the idea that remembering is infallible, like the re-playing of a video recording? Why hasn’t all this scientific research had a much more tangible influence on what people believe about memory? 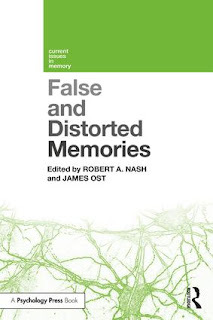 In our recent edited book False and Distorted Memories, we proposed that at least three factors may contribute. The first is that mistaken views of memory are difficult to change because they are deeply ingrained, not only individually but also culturally and even linguistically. The second factor is that it can be uncomfortable for us to suppose that our autobiographical identities, our values and our viewpoints, could be based partly on fiction, and we might therefore intuitively resist entertaining such notions too seriously. The third factor is that the concept of ‘false memory’ is for many people inexorably linked with controversies around putative memories of childhood trauma, a link that has arguably often skewed discussions of the countless ways—positive and negative—in which distortions of belief and memory touch our remembered lives. Today's post is provided by Project PERFECT's Co-investigator Michael Larkin from Aston University. In the post he outlines his plans for the coming months of the project. We’ve had a good start to this final block already, with Rachel Gunn and Magdalena Antrobus both successfully defending their theses at viva before Christmas, and subsequently being awarded their doctorates. I’ve really enjoyed working with Lisa Bortolotti and these two brilliant, creative and insightful researchers. It has been really exciting to see the interdisciplinary nature of their work take on such a distinctive character: I hope that we will see the the benefits of this in future work, post-PERFECT, too. In Magdalena’s work, the interdisciplinary quality has taken the form of a very rigorous engagement with existing psychological evidence about the nature and context of low mood. In Rachel’s thesis, it involved conducting interviews, and engaging with phenomenological data, about the experience of unusual beliefs. One of the things that I’m most looking forward to for this year’s work is finishing the paper that Rachel and I have started, based on some this analysis. This post is by Tulio Giraldi. Tulio Giraldi is a researcher and teacher of pharmacology and clinical psychology at the University of Trieste, currently Visiting Professor at the Department of Global Health & Social Science at the King’s College London. The topics of his basic and clinical research have been cancer chemotherapy, together with the pharmacology of the central nervous system and the responses to stress. More recently, he has been researching the role of genetic polymorphisms in mental health, and the pharmacogenetics of the response of psychiatric drugs. 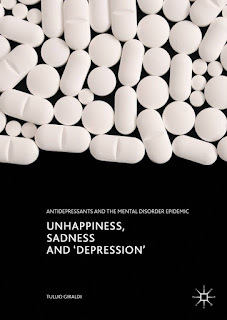 In this post he talks about his book Unhappiness, Sadness and Depression. According to the World Health Organization (WHO), an epidemic of depression is spreading around the world, expected to become by 2020 the second leading cause of world disability and by 2030 to be the largest contributor to disease burden. 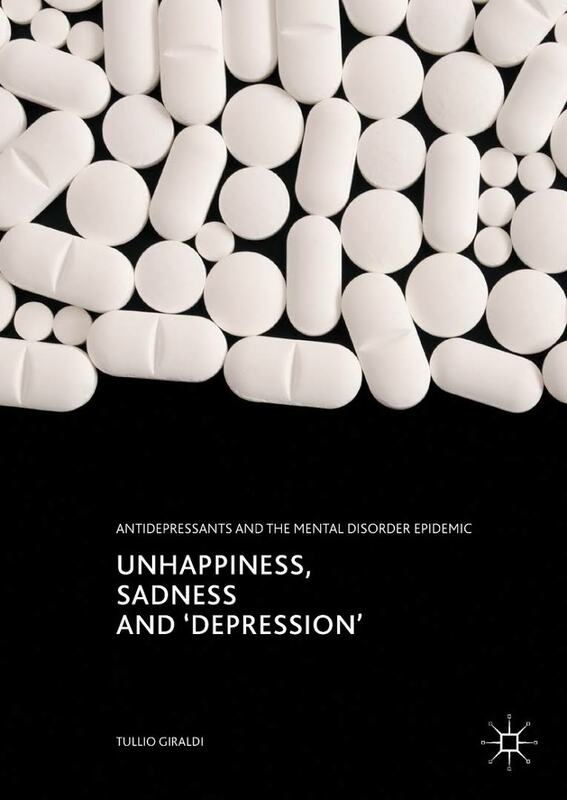 The serious concern for depression and antidepressant drugs led me to analyze all the available data and to write this book.What immediately appeared is that melancholic depression, since the time of Greek medicine, is a serious ailment affecting a limited proportion of the population. With the birth in the 60s of the Diagnostic and Statistic Manual of Mental Disorders (DSM) of the American Psychiatric Association, melancholic depression was transformed into the “major depressive disorder (MDD)”. The inclusivity of the DSM diagnostic criteria are consequently responsible for the spread of depression lamented by the WHO. They do not discriminate between morbid conditions, requiring medical attention and intervention, form healthy emotional responses accompanying the adaption to stressful life events. Stressful events, including those caused by the economic crisis, occur with a worrying increasing frequency in the globalized society of today. Today’s post is provided by Jorge Gonçalves of IFILNOVA, Universidade Nova de Lisboa (UNL) and the Lisbon Mind & Reasoning Group (group included in IFILNOVA). In this post he provides a summary of his chapter "Why are delusions pathological?" 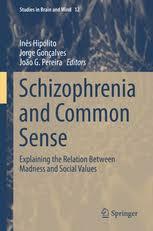 in Hipólito, I., Gonçalves, J. Pereira, J. G. Schizophrenia and Common Sense: explaining the relation between madness and social values. The aim of the article is to identify a characteristic of delusions: that which makes them pathological. This aim may appear a bit strange at first because one believes that delusions just are a pathological alteration of the mind. However, some authors have shown that although pathological delusions are the most studied, not all delusions have necessarily harmful consequences for the delirious subject or for others. Hence, it seems pertinent to question what makes delusions a pathological state. “Pathological” is here understood as that which damages the subject (not that which deviates from the norm). Delusions are defined in DSM-5 as “false beliefs” but some have been argued that delusions are not beliefs but another kind of mental state. Here I adopt a model – the Multiple Realities Model - that considers delusions as experiences, not beliefs. But at the same time I admit the two perspectives are not incompatible. The Phenomenological Multiple Realites Model of Schütz/Gallagher maintains that everyday reality is not the only reality in which consciousness can be found. There are several realities, each having a different cognitive style. Usually the so-called “accent of reality” is placed on everyday reality, which is the paramount reality. In this reality, we accept the given world without questioning it, without questioning its reality. But Schütz refers to and analyzes other realities, highlighting their relationship with everyday reality: the worlds of fantasies, dreams, scientific theory, art, children’s game, and the insane. Gallagher includes here “delusion”.